Of course, you may opt to use these drives as external USB 3.0 backup, or even as dedicated backup drives albeit internal to systems. Pre-installed on the 10TB drive are several utilities from Western Digital. We did run the WD Drive Utility on our new drive removed from the Easystore enclosure. As we expected, no issues found on the HDD. 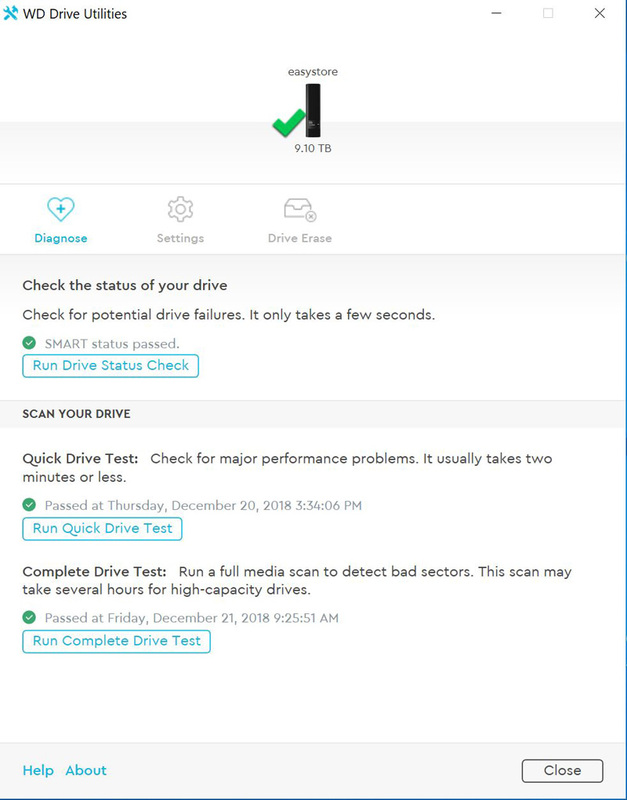 Our advice here, since shucking the drive will invalidate your warranty, is to test drives before shucking, especially if you are doing low numbers of drives. A bonus with purchasing the current Best Buy version of the WD Easystore 10TB backup solution is a 32GB 3.0 USB flash drive labeled as an “easystore” flash drive. 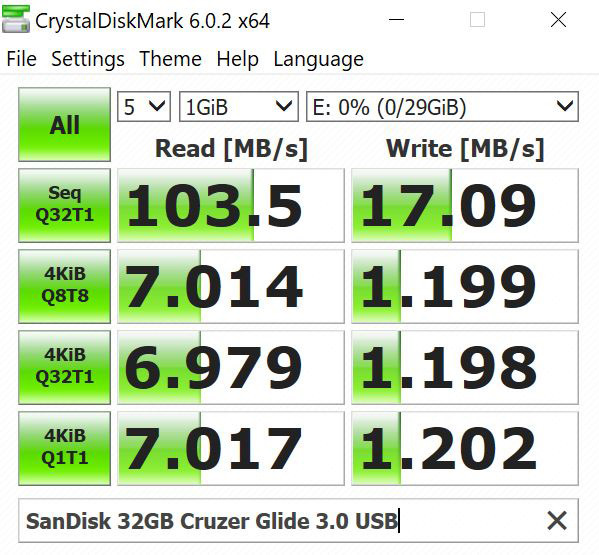 While not the fastest, we can always use extra flash drives here in the lab, and this 32GB drive is suitable for our uses. We bought other WD 10TB USB 3.0 drives off of Amazon, and while they also contained the WD100EMAZ hard drives, they did not come with the 32GB USB drive. A tip here: if you turn these into OS installation media, a black Sharpie marker on the back or a small label is a great way to keep these labeled if you purchase many of these drives. Next, we are going to check the performance of the WD100EMAZ 10TB and compare it to a WD Red 10TB drive.